SoftBank announced on Wednesday that it has completed a blockchain proof-of-concept mobile payment solution through its collaboration with Synchronoss Technologies and TBCASoft. SoftBank (TSE:9984) has collaborated with two other Japanese companies on a cross-carrier mobile payment solution based on blockchain technology, it announced on Wednesday (September 12). 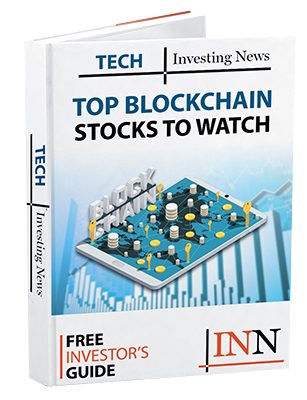 The company said that its completed proof-of-concept development came to fruition thanks to a partnership with Synchronoss Technologies (NASDAQ:SNCR), which provides multi-channel communication platforms in Japan, and blockchain start-up TBCASoft. According to the release, the mobile payment service is based on the Rich Communication Services (RCS) global messaging standard and backed by TBCASoft’s blockchain solution. The combined mobile payment service will allow users to make in-store and mobile and digital purchases in addition to processing global peer-to-peer money transfers. SoftBank further explained that international purchases made can be done directly through an RCS-based messaging app, similar to a text message or email. The messaging system makes easy to send payments and — in turn — for recipients to receive person-to-person (P2P) money transfers through the app–which is especially useful for those traveling abroad. “This RCS and blockchain based mobile payments PoC demonstrates the value operator-led services can deliver,” Takeshi Fukuizumi, vice president of SoftBank, said in the release. Synchronoss president and CEO, Glenn Lurie, said that the PoC will “disrupt the current messaging and payments market” as well as create ample opportunities for customers, brands and businesses alike. “RCS messaging will become the foundation for a new, feature-rich marketplace for brands and merchants, both large and small, to interact with subscribers,” Lurie continued. The companies in the release said the product launched earlier in 2018. The platform is currently being demonstrated at the Mobile Web Congress Americas conference that is taking place in Los Angeles, California, between September 12 and 14.